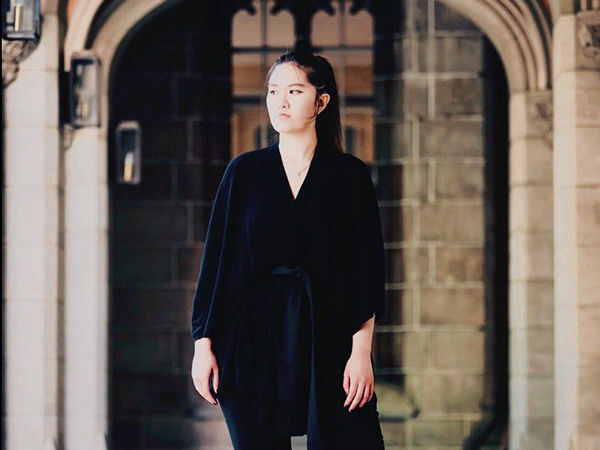 Born in Hong Kong and raised in Myanmar, Sonia Lim is a Bachelor of Arts student at The University of Melbourne with a strong passion for social justice. The youngest in a family of doctors and pharmacists, Sonia initially intended to join the family profession, enrolling in a Bachelor of Biological Sciences in New York. Midway through her degree Sonia had a change of heart, deciding instead to pursue a Bachelor of Arts (BA) at The University of Melbourne, majoring in International Relations and Criminology. We caught up with Sonia to find out more. Sonia standing in the Old Quad. Picture: Flash Studios. What prompted the change to the Bachelor of Arts? Through my work volunteering for social equality NGOs, I developed an interest in inter-country relations/dynamics, and how these relationships create economic and political opportunities. I am very passionate about social equity and female empowerment and I thought that a BA would give me the skills I need to pursue between government, NGOs, and corporations. I have really enjoyed being part of a number of clubs and societies. I was the Vice-President of events at the Melbourne International Relations Society. I helped organize a talk from Professor John Langmore, who not only teaches at the university but won the Nobel Peace Prize this October alongside Professor Richard Tanter. I also helped found the Women in Commerce and Politics Club. Finally, I was one of the first ever international asian female candidate for the General Secretary position on the Stand Up! ticket at the most recent University of Melbourne Student Union elections. While I wasn't elected, it was great to be part of a diverse group of students committed to progressive change on campus. My favourite class has been Political Economy. I have enjoyed learning about how closely related the corporate sector is to politics. How have you found fitting into Melbourne compared to other places you've lived? I relate to many people who come here for education and have found Ausralians to be laidback and reserved compared to New York. Being involved on campus made it really easy to meet new friends. What would be your dream project or career? I really hope I can use my career to help people achieve their goals in an ethical manner. I think a great way to do this is through education. Definitely the Baillieu Library. It has been a source of inspiration. A piece of advice for other students in the Bachelor of Arts? University is an opportunity to connect to people from all cultures to understand others. As a result, you learn more about yourself and how you interact with broader society.